Have you ever wondered if your hair color is safe, void of lurking chemicals? More like, what woman hasn’t?! In this short read (or scroll down to the bottom if you’d rather watch), you’ll learn how avoiding just three letters could potentially save your scalp health and your hair. I’ve been privileged to be a hair color educator and provide hundreds of women with beautiful hair color for over 20 years behind the chair. This means my hands have been deep in a myriad of ingredients that have been nourishing and good - and some not so great (harmful ingredients). One of these “bad” ingredient is PPD (para-phenylenediamine). Before natural was cool and organic was chic, I saw the ingredient safety issues around PPD, let alone it was highly allergenic. 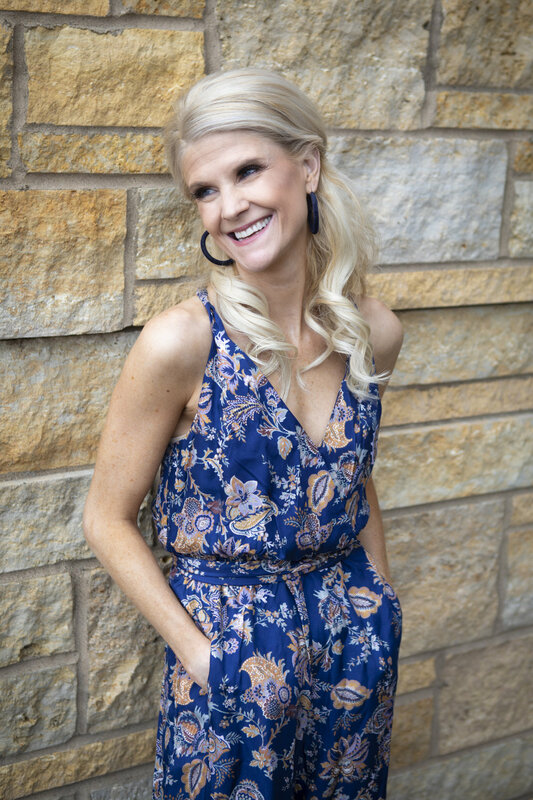 For this reason, over the last 15 years I’ve sought out the best hair color lines that provide a PPD Free and Ammonia free for our hundreds of clients at Beauty Ecology. Why PPD a leading concerning ingredient? PPD is a powerful chemical sensitizer and I’ve seen it cause strong allergic reactions in everyday healthy women from out of nowhere. The top symptoms and reactions from PPD are itchiness. Headaches, redness and irritation and at worst, PPD can also cause a anaphylactic shock reaction. University of Southern California study found that women who had colored their hair once a month for fifteen years or more had a 50% higher risk of bladder cancer. A 2004 study published in the International Journal of Cancer, hair colorists who’d been working with color for more than fifteen years had a five-fold risk of getting bladder cancer compared to the general population. PPD’s also been linked to non-Hodgkin’s lymphoma (in the American Journal of Epidemiology in 2008). Research at the University in Sweden in 2001, suggests PPD might compromise the immune system, setting off rheumatoid arthritis (women who’d colored their hair for 20 years or more had twice the risk of women who had not). So what are the best ways to avoid a out of the blue” reaction, worse reactions if already experiencing symptoms and overall better hair and inner health? Wrap it up. Ask your stylist to remove risk by foiling lowlights to enclose the color and avoiding the scalp contact. Go blonder. By using blonde shades and “lifting” the hair, you avoid dark tones which contain significantly higher levels of PPD. Go longer between coloring and disguise. Use a powder to disguise regrowth and use a color conditioner that is PPD free. Wear hats, avoid chlorinated pools, wash your hair less—all in the service of keeping your color as vibrant and healthy-looking as possible, so you need to re-color less often. Always Always Seek out PPD-FREE formulas. The best place to start is to find hair color brands that are void of PPD, or at least very very low. Beauty Ecology is a top referal salon for safe, natural and conditioning hair color. Why is my hair thinning!? We've all been there. Speaking from experience and empathy - I went through a 50% hair loss experience (dreadful) this winter due to stress and incredibly low hemoglobin. As my gut was healed, and my body restored - I see the fruits in full return from applying meditation, our Evoq products (especially the root activator), CBD, and disciplined sleep habits. Hair loss has always been specialty of mine at BE Salon. I’ve witnessed hundreds of women battle thinning hair - so I can validate that 1 in 4 women will experience hair loss. I’ve also helped these women throw their locks in a role reversal (positive). By understanding the catalysts to hair loss, we can then learn and be proactive in combating it. Sitting and fretting ads to the issue. Girl, LET’S GROW! There are two general reasons for hair loss: hereditary and reactive. Hereditary hair loss refers to a genetic predisposition to hair thinning, which includes "male pattern balding" experienced by about 50% of men over the age of 50, though genes can also cause hair loss much earlier. When it comes to hormones,women can experience this patterning. Hormones play a huge role in regulating the hair growth cycle. Oestrogens (female hormones) are 'hair friendly' and help to keep hairs in their growth phase for the optimal length of time. Androgens (male hormones) are not very hair friendly, and can shorten the hair growth cycle. An excess of androgens (which could be caused by an endocrine disorders) can cause hair loss. The extent of this is often down to genes - If you have a genetic predisposition to follicle sensitivity, a hormonal imbalance can affect your hair more than it would someone who does not have a predisposition. I suggest seeing a Functional Medicine Practitioner to see what’s stressing your hormones and organs inside-out. Even if you're predisposed genetically, there are still plenty of lifestyle changes and natural remedies to explore. Here’s a GREAT read on how to test your Thyroid - often a partnering culprit. Reactive hair loss refers to a harsh internal jolt to your system and external stressors that affect hair loss and strength. These include diet, hormones, stressors, behaviors, environmental factors, sudden weight loss/gain and even skin conditions such as psoriasis and seborrheic dermatitis. How does this happen? Androgen (male hormone) levels are yet again raised, which in turn can causes hair loss. Feeling like it’s out of your control? 1. Eat well and Smart Supplements. Deficiencies in iron, zinc, B vitamins, protein, and complex carbohydrates can all have a negative effect on hair growth. B12, commonly found in animal products, is often found to be low in vegans and vegetarians. Hair is made of protein, making adequate daily intake of protein rich foods essential. Include at least a palm sized portion of protein at breakfast and lunch. Generally speaking, it's important to eat plenty of vegetables to help chelate excess xenoestrogens to keep your hair and scalp in optimum shape. Say not to SUGAR! It’s a direct release of cortisol and can feel the follicle popping as I think about it! 2. Stay on top of immunity and hormonal balance. 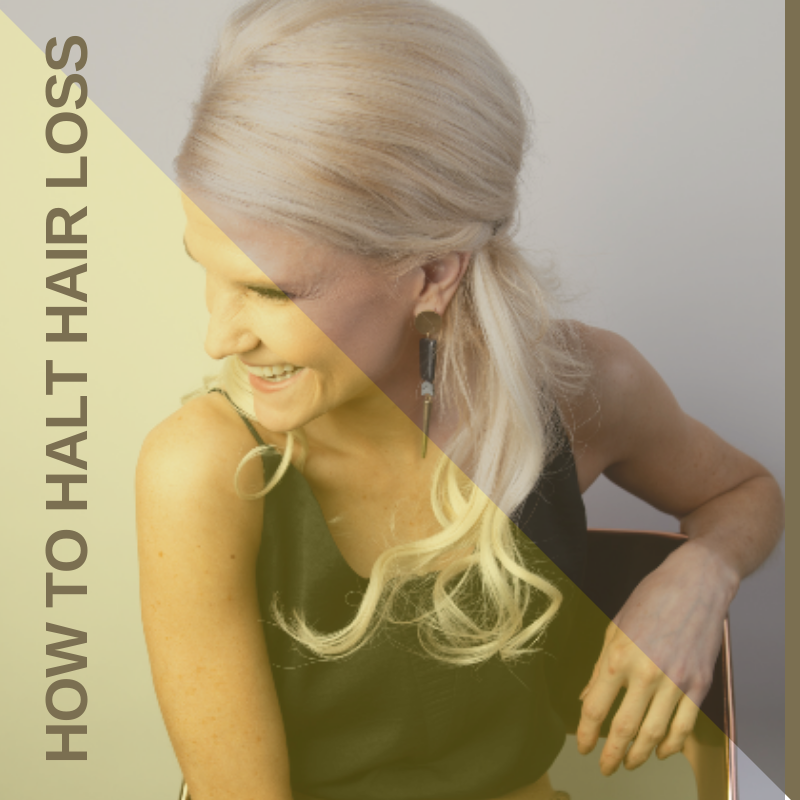 Undiagnosed thyroid problems, hormone imbalances, autoimmune diseases and other conditions can be found at the root of hair loss. Be sure to consult a Functional Medicine Practitioner if you're experiencing any symptoms related to these conditions. Skilled to get to the root! 3. Take it easy on the styling. Heat styling as well as tight braids, buns, and ponytails can take a toll on the strands. As for styling products, pay attention to ingredients. Polyethylene glycol and alcohol can dry out strands and lead to weak, brittle hair that's more prone to breakage. 4. Gentle Ammonia Free Hair Color. About 70% of women use hair color. I’ve witnessed it time and again - after our clients at Beauty Ecology. BE was one of the first salons to exclude professional-grade Ammonia, Resorcinol, and PPD from our services. We stay true to that commitment, making our color much gentler, safer, and kinder to the stylist, environment and most important -your healthier scalp! 5. Find healthy ways to cope with your stress. Stress and anxiety can raise androgen levels, which increases the likelihood of hair loss. Therapy, meditation, and CBD, and natural supplements are effective ways to reduce stress in our day to day lives. I love adaptogenic herbs (CBD also acts like an adaptogen). Look for ashwagandha, rhodiola, and cordyceps - all shown to relieve stress. 6. Nourish your top crop and reactivate your scalp. This is VITAL. Remember, your scalp and outer skin is the last chain of command to receive nourishment from the inside, so externally assistance for the scalp is a critical MUST from my experience. It’s why our Root Revival System has been a reviving blessing to many of our success - hair - full clients. Experience our HAIR GROWTH ACTIVATOR that’s proven to be 2x’s MORE IMPACTFUL THAN MINOXIDIL (drug based). When you purchase our Root Revival System YOU GET FREE SHIPPING! Dry, brittle, dull and weak hair is about to be of the past. Brilliant hair color starts with a clean and healthy canvas (your hair). It’s what gives you color longevity, shine and dimension to your color results. Like a true colorist, I’ve changed my own color up and went from dark ash to cool bright blonde myself, which always brings ….. DAMAGE. No ma’am. In fact, all ages of my clients have been brightening it up as of late. There are no hair rules in the winter. Have fun! I’ll make sure you get there in the healthiest way. You can go BRIGHT BLONDE or better maintain RICH BRUNETTE hair color with CØR Restore. This new in-salon restorative treatment uses an innovative blend of amino acids and organic nourishments to reconnect broken bonds and repair the damage to hair that has been compromised by chemical processing, heat styling, and mechanical abuse. What’s the difference between our Keratin Express + CØR Restore Service? Different but both are just as valuable in maintaining the disulphide bonds within the hair structure. The difference is Cor.Restore is used during the color process. These bonds are normally broken down during the color process and can sometimes result in breakage and stretchy hair results mainly in high lift situations such as balayage, highlights or lift tints. It’s a must for anyone heading lighter, but just as powerful in tinting down. Can I use the treatment if I am NOT coloring? YES! From lightening, coloring to even using it as a stand-alone treatment, we can add it to a haircut or as a treatment by itself. $45: Includes treatment and blowout. **SAVE 20% when you add to a color service ( only $36 )! NO TIME, when you add to a hair color. As a separate treatment with a blowout or haircut, approximately 40 minutes. Is this the same as OLAPLEX? NO - but YES. The pursuit is the same in repairing the bonds in the cuticle. But this is NOT Olaplex. Water (Aqua), Bis-Aminopropyl Diglycol Dimaleate, Propylene Glycol, Cetearyl Alcohol, Behentrimonium Methosulfate, Cetyl Alcohol, Phenoxyethanol, Glycerin, Hydroxyethyl Ethylcellulose, Stearamidopropyl Dimethylamine, Quaternium-91, Sodium Benzoate, Cetrimonium Methosulfate, Cetrimonium Chloride, Fragrance (Parfum), Polyquaternium-37, Tetrasodium EDTA, Butylphenyl Methylpropional, Etidronic Acid, Ascorbic Acid, Phytantriol, Prunus Amygdalus Dulcis (Sweet Almond) Oil, Tocopheryl Acetate, Aloe Barbadensis Leaf Juice, Panthenol, Simmondsia Chinensis (Jojoba) Seed Oil, Citric Acid, Potassium Sorbate. According to sites like Truth In Aging, EWG.org, and Paula’s Choice, the majority of the remaining ingredients constitute conditioning agents (propylene glycol, glycerin, hydroxyethyl ethylcellulose, stearamidopropyl dimethylamine, quaternium-91, cetrimonium methosulfate). Others include emollients (cetearyl alcohol), preservatives (phenoxyethanol, sodium benzoate, tetrasodium EDTA), and cleansers (cetrimonium chloride). At BE we always challenge the artificial norms of professional haircare with formulations that are both effective and gentle. Removing harsh chemicals wherever possible while including natural extracts and active minerals that deliver real benefits. How does your hair color keep my hair healthier? Our motto for over 2 centuries is : Start with healthiest color for inner-outer health. 100% FREE of Ammonia, PPD and Resorcinol! Resorcinol is classified by the European Union as harmful, irritant to eyes and skil and dangerous for the environment. It may also disrupt hormonal function, and lead to hypothyroidism. Ammonia can irritate the eyes, skin and respiratory system. It can also cause asthma and breathing difficulties. Enjoy sunflower seed wax and sweet almond oil to further strengthen the hair and scalp. READY? Whether you want to up-level your hair color, or put your locks through rehab. Allow us to personalize and help you. Let your stylist know you’d like to ADD onto your upcoming color service! Perfect for looking your best for the holidays! Ugh - there are so many nuances to doing blonde RIGHT and keeping it healthy. When highlighting, you're lifting out your natural pigment. Also, it's just as important of the quality of lightening system you're using. Beauty Ecology is knows for our clay protein + marine extract lightening system. 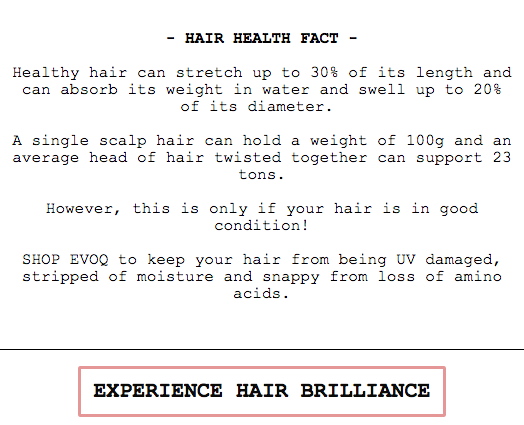 The hair is left in better health and avoids breakage - and may I say BRASS FREE? You can do your part at home (especially your blondies) by keeping your hair healthy and strong by following these steps.